Are your ideas for your outdoor living area bigger than your budget? If they are, you aren’t alone. Oftentimes, homeowners have grand ideas that they’d like to see brought to life but they simply can’t afford to do them all at once. 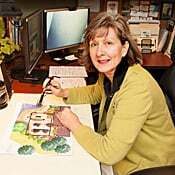 That’s not a problem as landscape design for your Lancaster, PA home can be phased—as long as there is a strong professional design to begin with. 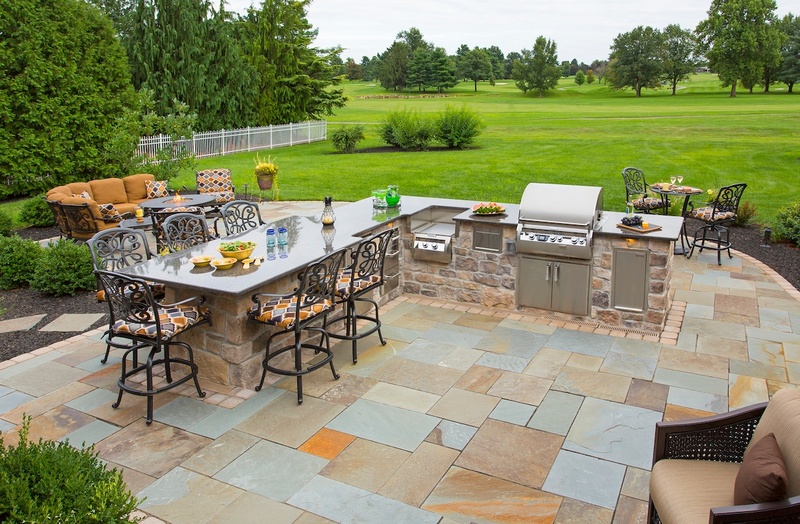 That was exactly the case for this Lancaster, PA family who wanted to add an outdoor kitchen and fireplace to complement their outdoor living area but needed to phase the project in order to help it fit into their budget. Because the proper forethought and planning were performed, they were able to have all of their wants and needs fulfilled in a project that came together over time. 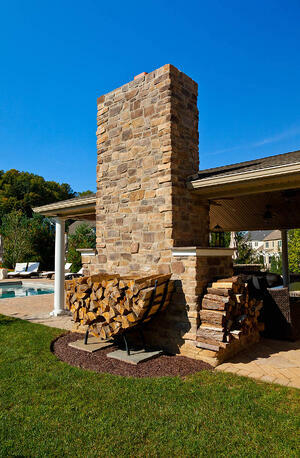 One of the most important aspects of this Lancaster, PA landscape design was the pool. This was a family of young swimmers who actually swam to compete so the pool was designed to have lanes in which the kids could race. The pool design also featured starting blocks so that the kids could practice their starts. The pool was designed by Earth, Turf, & Wood and installed by a local pool builder in Lancaster, PA. While the outdoor living area had an existing covered patio, it was built from poured concrete that was cracking and looked dated. 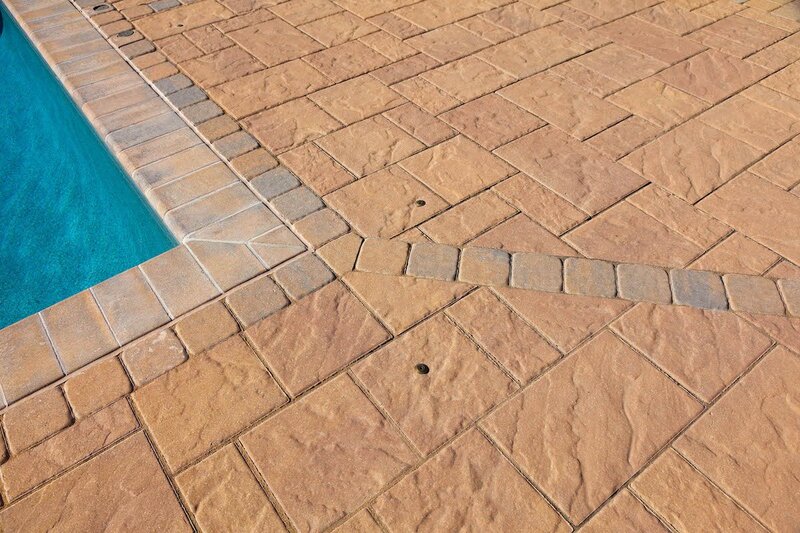 Earth, Turf & Wood removed the concrete and replaced it with pavers which would also extend to the pool area. This created a seamless look that unified the two spaces. From the covered patio, there is a beautiful 180-degree view of the pool. 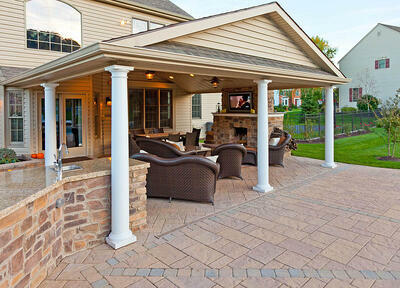 The vantage point of the covered patio area was a key consideration in the landscape design. Everything is laid out in a way that you can truly enjoy the entire outdoor space no matter where you’re sitting. 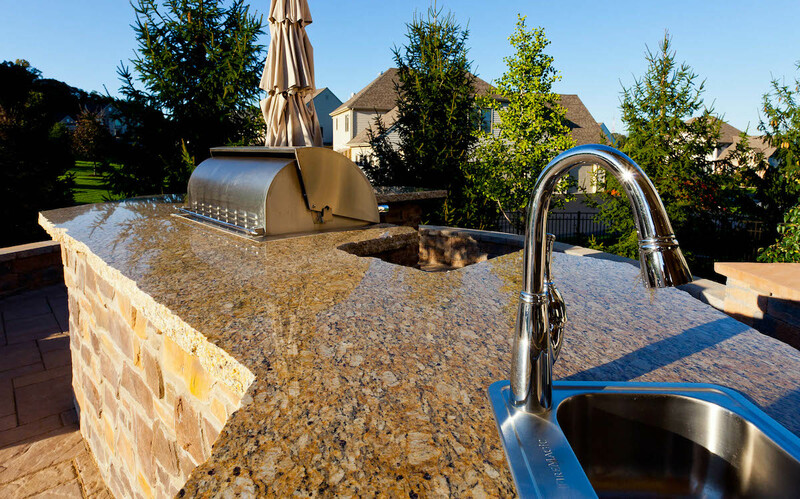 Of course, the outdoor kitchen area and fireplace were also essential elements of the landscape design but not ones that would fit into the homeowners’ immediate budget. Because of that, these amenities were planned for in advance by breaking the project into two phases. 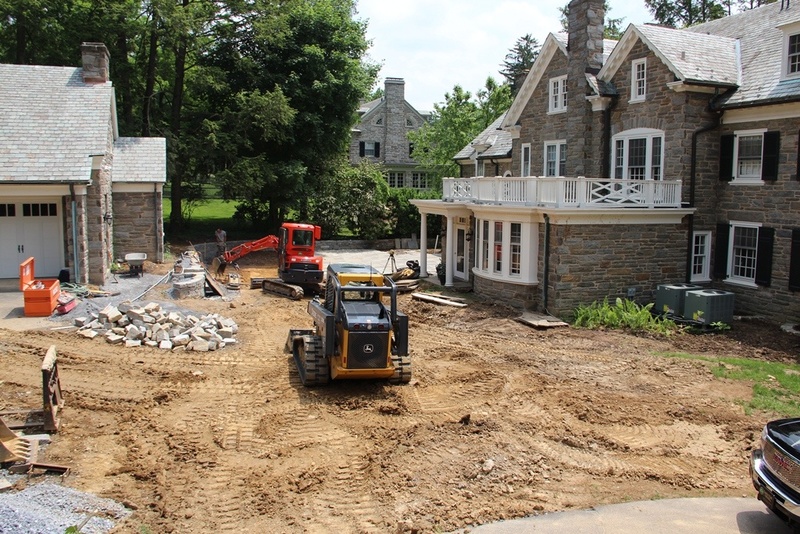 During phase one, we installed the new patio and during that time also installed the footers and ran utilities so that the property did not have to be dug up for phase two when the kitchen and fireplace would go in. This saved the family a tremendous amount of hassle. When it came time to begin construction on the outdoor kitchen and fireplace (two years later) materials were carted in with wheelbarrows rather than needing heavy machinery and tearing up the yard all over again. This not only saved the family the hassle of having to deal with a dug-up yard twice, but it also meant an immediate start to phase two. Rather than holding the project up to do excavation, the installation of the fireplace and kitchen could begin right away. 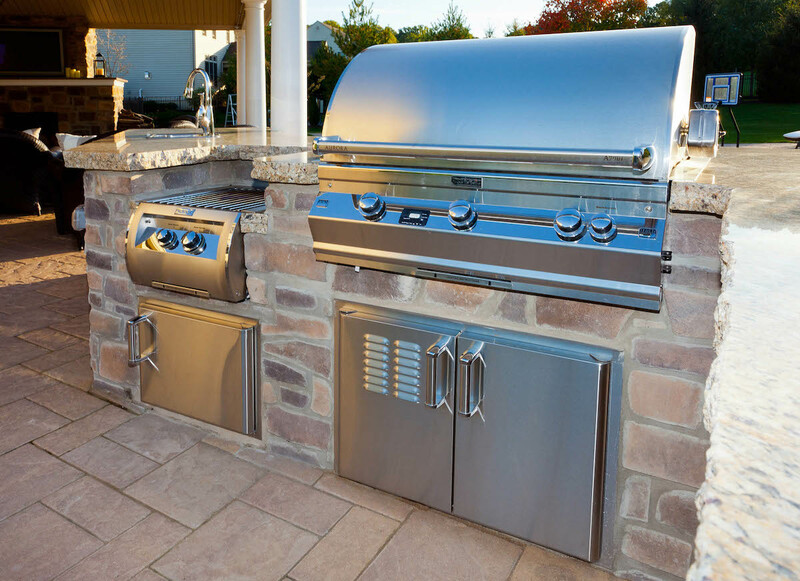 In addition to a built-in grill, this outdoor kitchen also featured a power burner. The family was particularly excited about this feature because of a family recipe for a delicious soup that tended to have strong aromas when it was cooking. Rather than having to make this scent linger in their kitchen for hours, this soup can now be cooked any time of year, right outside. The husband in this family was also an avid football fan and loved having friends over to watch the game. While the game was typically watched in the basement (“the man cave”), with the addition of the outdoor fireplace with a television above it, everyone now has the option of extending the party to the adjacent outdoor space where they can watch the game outside. Thanks to good design, all of these areas flow seamlessly. 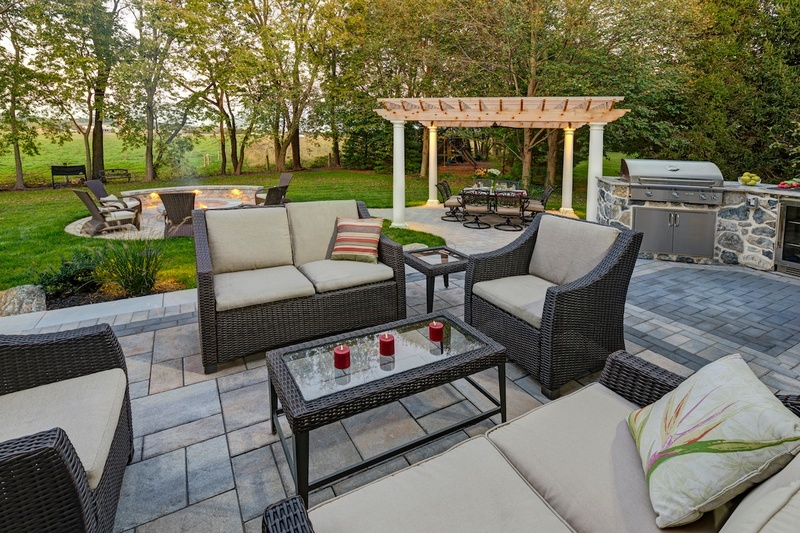 With the two spaces connected with hardscaping, a party can easily extend from the basement to the outdoor living area. When talking about designing and building an outdoor living space, the focus is often on fulfilling wants and needs—and that’s obviously important. But budget is also a driving factor and must be accommodated as well. This project is a great example of how we can work within the confines of budget while not having to compromise what’s desired for the end goal. This Lancaster, PA landscape design was able to be phased because all of the details were accounted for from the very beginning. As a result, the family was still able to receive the complete space of their dreams. By choosing to work with a Registered Landscape Architect (RLA), you can feel confident that your project will also be designed in a way that will not only fulfill all of your wants and needs but that it will be appropriately phased if that’s needed for your budget. That means that you can see your outdoor living dreams come to life, too. 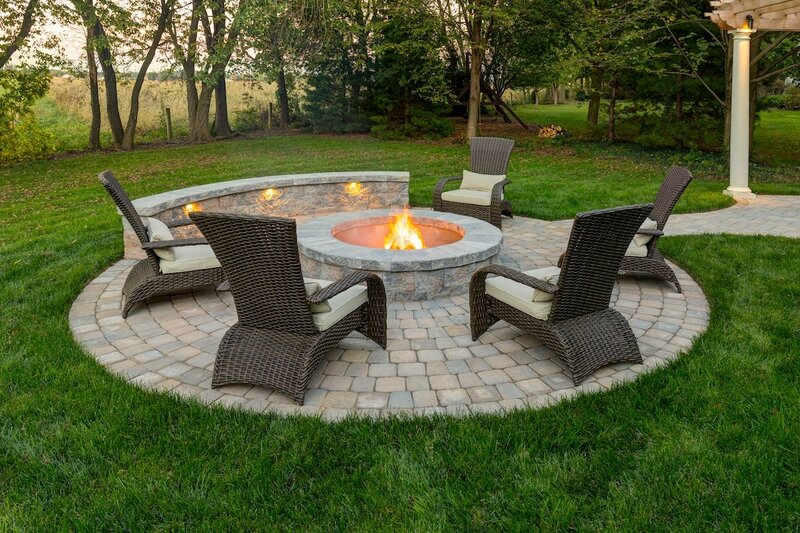 If you’d like to start a conversation about how you can bring your outdoor ideas to life at your Reading, Lancaster, Lebanon, York, or Hershey, PA home, contact us for a free consultation or give us a call at (717) 276-9447.